A successful local fundraiser for March of Dimes is morphing from a battle of the bands to a night of “classy” entertainment, says the event’s co-ordinator. “The battle of the bands format was causing some issues so we decided to make it a corporate band showcase with the best-dressed bands in Sarnia,” said Dennis Ullman, national director of special events and community relations. This is the third year Sarnia will join the Canada-wide Rock for Dimes fundraiser, which is now held in 15 cities. The evening features three local bands and opening solo act Moyralyn from Ridgetown on the acoustic guitar, free snacks, a silent auction and door prizes – all for $20 per person. Ullman said the evening will be like a rock’ n roll gala but you don’t need to dress up. Rock for Dimes has always been a money maker in Sarnia and this year the hope is $5,000 can be raised to help pay for assistive devices needed by March of Dimes clients. That could include anything from wheelchairs to communication devices, Ullman said. March of Dimes is a non-profit agency that assists children and adults with physical disabilities. * Suit Up! : Band members John North, Jason Airey, Dan DiCocco, Bryan Doull, Randy Leeson and Sean Robbins present a Vegas-style corporate show covering all genres of dance music. * Cornerstone: Local country band featuring Gord Bourgon, Ken Ramsden, Geoff Dunn, and Lise Michaud on lead vocals and guitar. 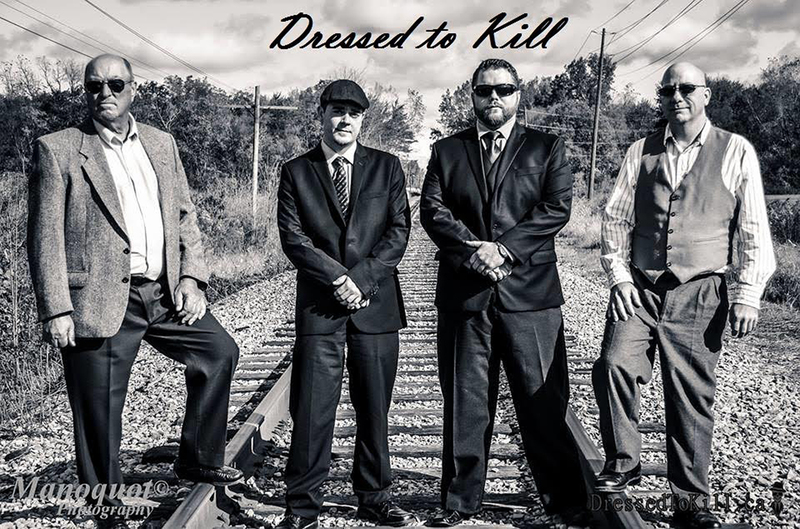 * Dressed to Kill: Keil Simmons, Jeff Turnbull, Dallas Labarre and Bruce Sleeuwenhoek perform covers of well-known blues and rock tunes, R & B, and their own material. WHEN: Saturday, March 19. Doors open 8 p.m.
WHERE: BrownStones Sports Lounge & Restaurant, 1000 Finch Dr.
TICKETS: $20, available at BrownStones, Picker’s Alley and AutoMax. The Arts Journal highlights stories about the cultural fabric of our community. 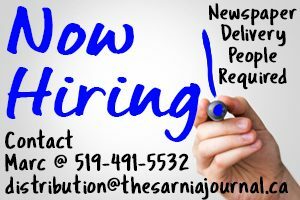 Contact cathy.dobson@thesarniajournal.ca or call 226-932-0985.